Born into an equestrian family, Maurice started his riding career with ponies. At 13, Maurice rode with the German jacket at the European Pony Championships for the first time. In total, he has now competed in 7 different European Championships in Pony, Junior, Young Riders and Senior category. Maurice competed for the first time at 5* level in 2013 during the Longines Global Champions Tour of Wiesbaden and won his first 5* class in Stuttgart in 2014. 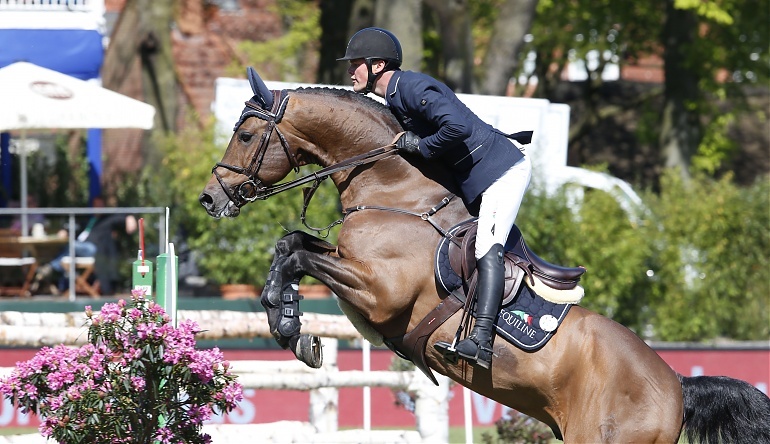 He was called up in 2017 to wear the German colours during the Nations Cup and his double clear allowed the German Team to take the win in Aachen. His motto is “Never give up and always look forward to difficult events”.